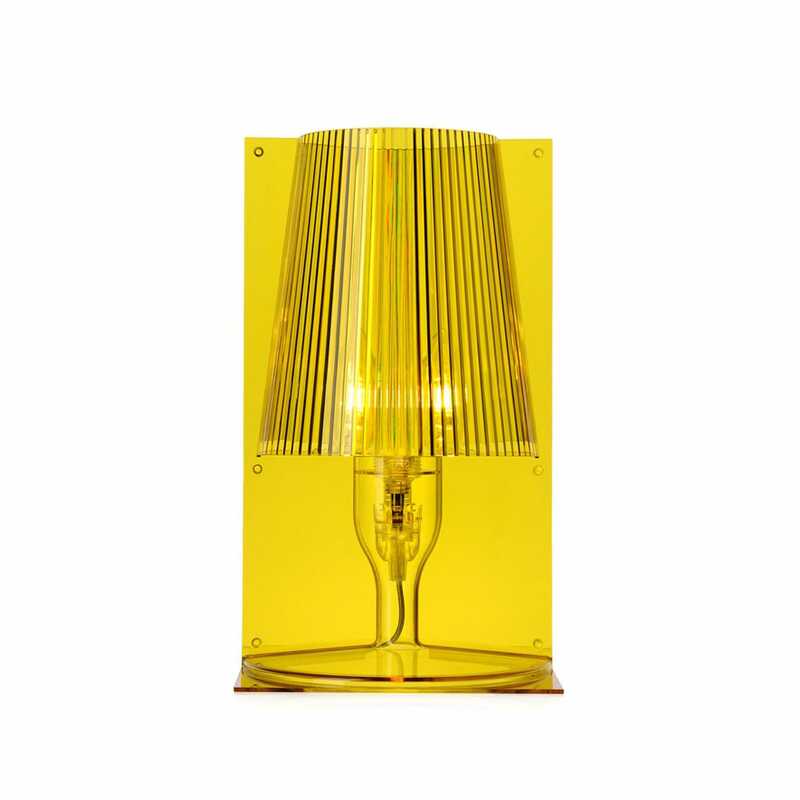 Add a touch of colour to your room with this fabulous table light designed by Ferruccio Laviani. This contemporary piece takes on a two-dimensional appearance as it is joined by two symmetrical parts, two flat rectangular and two dimensional plates which produce the illusion of half a lamp. The lamps pleated lampshade creates a playful appearance when lit enhancing the ambience of your room. Playful design with a two-dimensional appearance. We bought two in a shop local to us, but one was faulty. The shop were unable to replace so gave us a refund. We were delighted to find a matching lamp on the Heal's website. It arrived very quickly and worked perfectly.